Why would anyone want to do dog DNA testing? There are many reasons given but the most common reason people choose to DNA their dog is plain curiosity. Knowledgeable dog people can often pinpoint traits or characters that remind them of specific breeds, but this is in no way accurate. When you adopt a dog from a rescue or shelter, that is exactly what happens. You may think you are getting a yorkie - poodle mix, but the shelter employee who decided the dog was a yorkie-poodle (Yorkie-Poo) may be all wrong. Dog DNA testing can clear up any confusion. A dog is every man’s best friend. As a dog lover, we treat them like family. We make sure that they have the best when it comes to shelter and food, and they are healthy and happy. As a dog parent, you would want to know what breed your dog is. When you know your dog’s breed, you will have an advantage when it comes to caring for them. 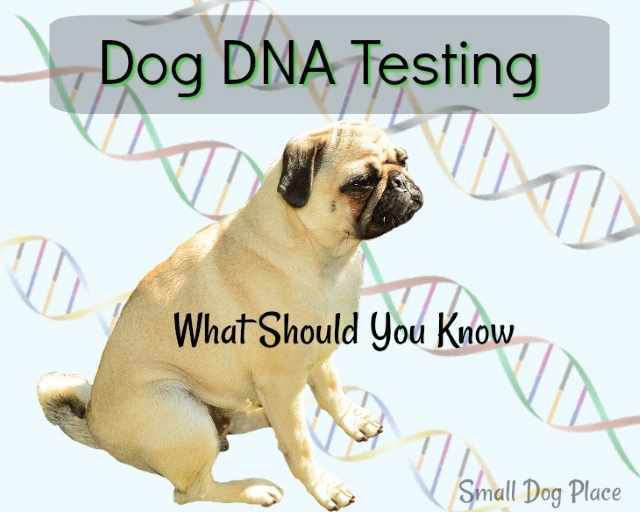 There are plenty of DNA tests for dogs that you can choose from. And the good thing is, it is now available on the market. Why Do Dog DNA Testing? As mentioned previously, most people are curious about their adopted dog and the best way to know for sure is to have him his DNA tested. Sometimes it is a matter of knowing the real breeds and other times, people are interested because the dog shows traits that don't fit the identified breeds from the shelter personnel. It often comes as a surprise to dog owners that their dog who they thought was a terrier mix turns out to have little or no terrier parentage. For your dog to be classified as purebred, you need to have a specific proof to backup your facts. This is what a DNA test can do. Why is this important? You may have gotten a dog from a breeder who told you the puppy was a Maltese, yet the dog doesn't much look like that breed. Even with papers (registration paperwork) from a reputable organization such as the AKC, you won't know for sure. Even papers are no guarantee the dog is purebred. If the mating was not supervised, there is always a possibility that the suspected sire or father of the litter is not really the father. Each breed has a list of possible disease that have been scientifically identified for that breed. For example, allergies and eye problems are very typical in the Shih Tzu breed. If you know the breeds, you can also become aware of some of the health risks that plague certain breeds. Besides the health conditions that are present in certain breeds, there are also indicators that certain breeds have medication sensitivities. Many of today's dog DNA tests can identify these drug sensitivities making it much easier for your vet to prescribe medication that will not be harmful for your dog. Once you have an idea of the actual bloodline purity of the dog, you can estimate their adult weight and size. Why is this important? For starters, if you know what to expect as your puppy matures, you will be more prepared to provide the appropriate nutrition that best meets his needs. Feeding the correct amount of food is especially important for large breed puppies as you want to provide the appropriate caloric intake so that your small puppy doesn't grow to big too fast. Your dog’s temperament can also be distinguished even when they are still puppies. Each dog has a different personality but among breeds there is a consensus that each breed has a set of characteristics that set them apart from other breeds. These breed traits come from years of developing a breed to do a certain job. For example, breeds that were used to guard are going to be brave, alert, strong and powerful. Those that were developed to be companions to royalty are going to be people oriented, devoted and loyal. Individual dogs within a breed will vary, but overall you can predict the temperament if you know the breed. Keep in mind that not all of the personality is determined through genes, but rather, the environment will shape the dog making him a unique individual that is made up by both his environment and his genes. Collecting a sample of DNA is very simple. Just like the tests for human DNA, the dog's DNA is collected using a sterile swab. Each company has slightly different directions, so you will want to read the instructions carefully. Basically, there are six simple steps to collecting a DNA sample. Remember that not all DNA tests have the same process. The Cheek Swab test is the most popular, but there are dog parents who want to have a blood test as well. 1. Do not allow your dog to eat anything or drink water from a shared water bowl for about an hour before you do the test. Remove the swab and swab the dog's checks for about 15 seconds. Repeat with the other swab. 2. Allow the swab to dry for about 5 minutes. 3. Place both dried swabs into their protective sleeves but don't reseal. 4. Place the sleeves into the carton. 5. Activate your kit online and get your activation code that you will write on the sample. 6. Mail back to the lab. As the following video shows, collecting a DNA sample is much easier than you think. 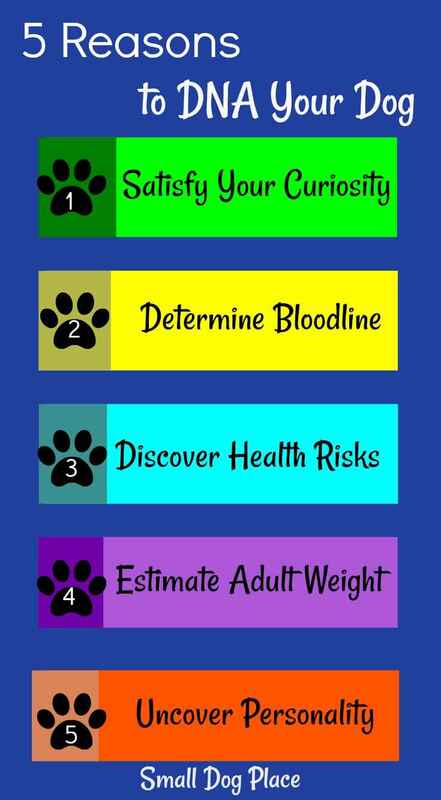 According to the dog DNA test review online, here are the top 3 choices that are highly recommended for dog parents. This is considered the best among the three choices. This test can trace more than 200,000 genetic markers and can test for over 160 + genetic health conditions that your dog can possibly have including MDR1 sensitivity, degenerative myelopathy (DM), dilated cardiomyopathy (DCM), PRA blindness, and exercise-induced collapse (EIC). This test is in partnership with Cornell College of Veterinary Medicine and Orthopedic Foundation For Animals. The results are internet-ready where you would be able to download and print using any device. This kit is from Wisdom Company where it can test over 250 dog breeds and hybrids. It can detect designer dogs, mixed breed, as well as purebred ancestry for three generations. This is the only licensed canine DNA test of the United States that offers MDR1 drug sensitivity screening. The results will be back in 3 weeks. Wisdom Panel offers 4 different canine DNA Testing Kits. The 2 most popular ones are the Wisdom Panel 4.0 (which goes for $84.99 and can be purchased directly from the Wisdom Panel Website and the 3.0 which is available on Amazon. When it comes to Dog DNA Kits, the three brands mentioned above are the world’s best. It is vital that you understand the process to make sure that you get positive and accurate results. We want nothing more than providing the best for the new member of the family and having a DNA test is the first significant step.